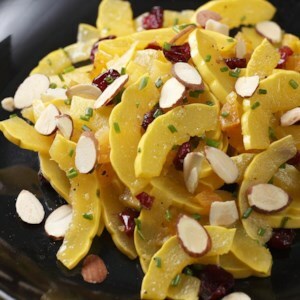 Find healthy, delicious delicata squash recipes, from the food and nutrition experts at EatingWell. 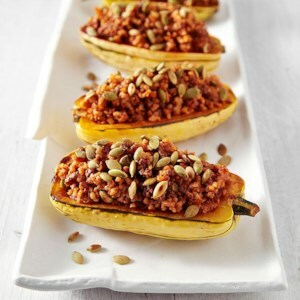 In this Tex-Mex-seasoned stuffed delicata squash recipe we swap out half of the ground beef you'd normally use for bulgur to reduce saturated fat without skimping on the amount of stuffing. 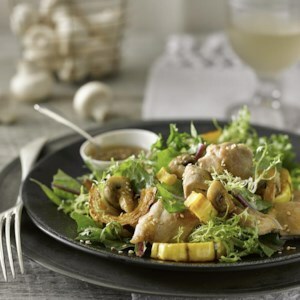 Serve with a mixed green salad with cilantro vinaigrette. 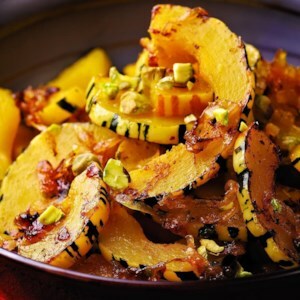 Tangy cider vinegar, sweet honey, crunchy pine nuts and fresh mint come together to make an amazing glaze in this healthy roasted winter squash recipe. 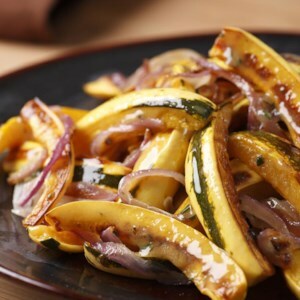 If you use delicata, the whole squash--including the gorgeous skin--is edible. 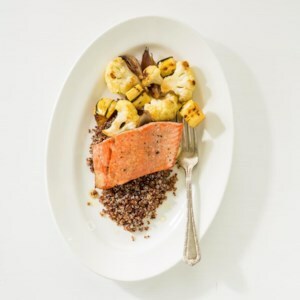 This healthy salmon recipe has everything you want for a complete meal: omega-3-rich salmon, protein-packed quinoa and lots of vegetables. Drizzled with a maple-lemon dressing, this healthy quinoa dinner also makes a delicious next-day lunch. 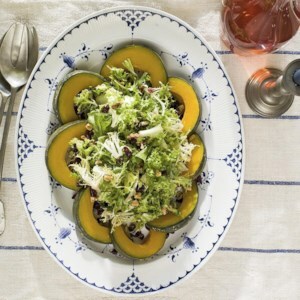 In this winter greens salad recipe, the steamed squash adds a tender yielding texture and a mild, almost nutty taste. 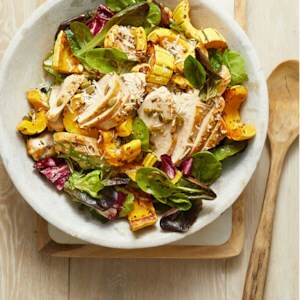 Combine with some nutritious bitter greens and a sweet-sour cranberry vinaigrette and you have an amazing salad. 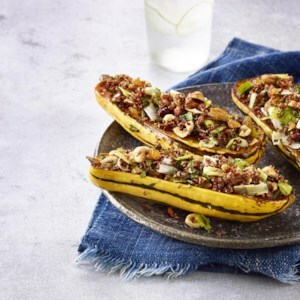 With its pretty striped skin and uniform shape, delicata squash is a beautiful vessel for serving up this healthy quinoa stuffing. 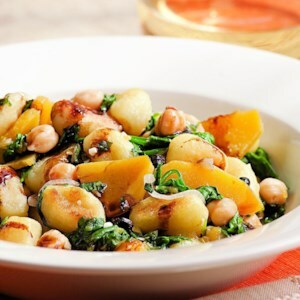 Serve this recipe as a stunning side dish or a vegetarian main with a big leafy green salad alongside. 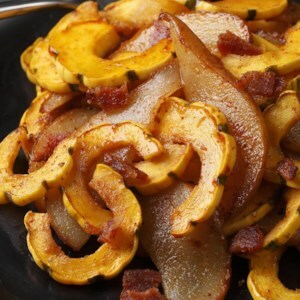 Pears and delicata squash tossed with brown sugar, chili powder and bacon is a delectable combination. 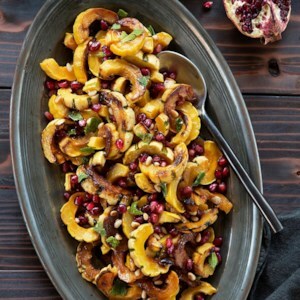 To make this vegetarian, omit the bacon and toss the squash and pears with the brown sugar and chili powder during the last 5 minutes of roasting. 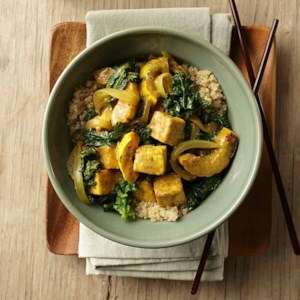 If you haven't tried delicata squash, it's worth seeking out. The skin is tender enough to eat when cooked, so there's no peeling involved. All you have to do is slice it and then cook it. Here we sauté it with olive oil and a little orange juice and zest, then add a sprinkling of pistachio nuts to make it special.